Inside our Case Vacanza you will find sobriety, elegance, tradition, and attention to detail. A reception desk is at your disposal, as well as an in-house restaurant for breakfast. Terra Sinorum located in the bustling heart of Terrasini. Outside our Case Vacanza you will find beaches, a tourist Harbour, beautiful churches and the main square. 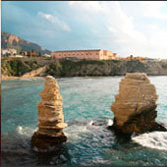 Capo Rama Nature Reserve, the Museum of Natural History, the Sicilian Cart Exhibition, and the Peppino Impastato Promenade will leave you awe-struck. 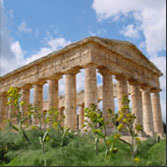 Excursions in the best hisorical and monumental places of our land (Palermo, Segesta, Trapani, Mozia). 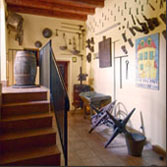 Detailed informations about art, tourism and gastronomy. Gastronomy excursion with free tasting. 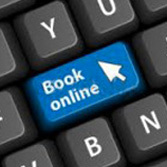 To make a reservation and to know our rates. Check availability and services offered by our Case Vacanza.